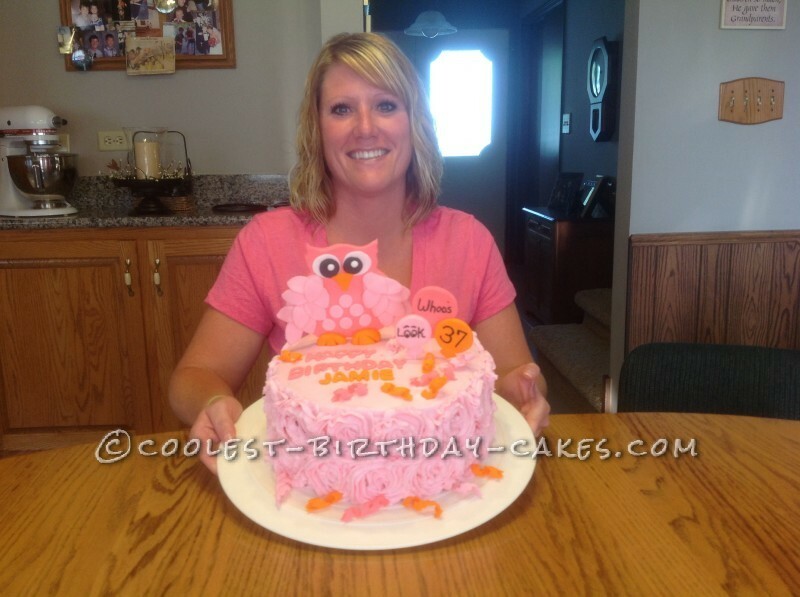 My Daughter Loves Owls and her favorite colors are Pink and orange, these are the two things that served as my inspiration for her Birthday Cake. 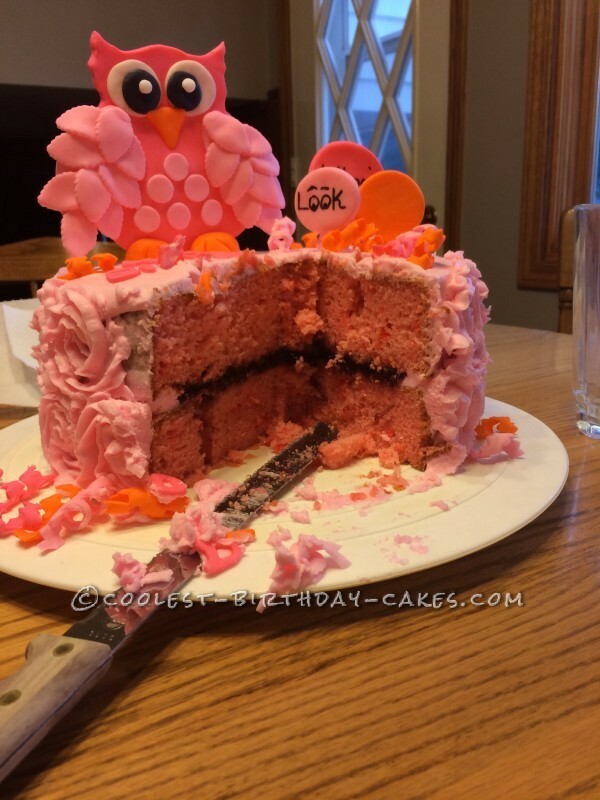 This cake is a double layer 9 inch round Strawberry cake filled with a triple berry filling, covered in homemade strawberry buttercream frosting. The decorations are made out of homemade fondant which I added a little tylose powder to so the decorations would stiffen up. When I saw that people added tylose powder to fondant ,rather than having to make or buy gumoaste, I could not find it in the store anywhere by me, so I found it on Amazon if your looking to get some…..a small container lasts a long time and is not very expensive ! 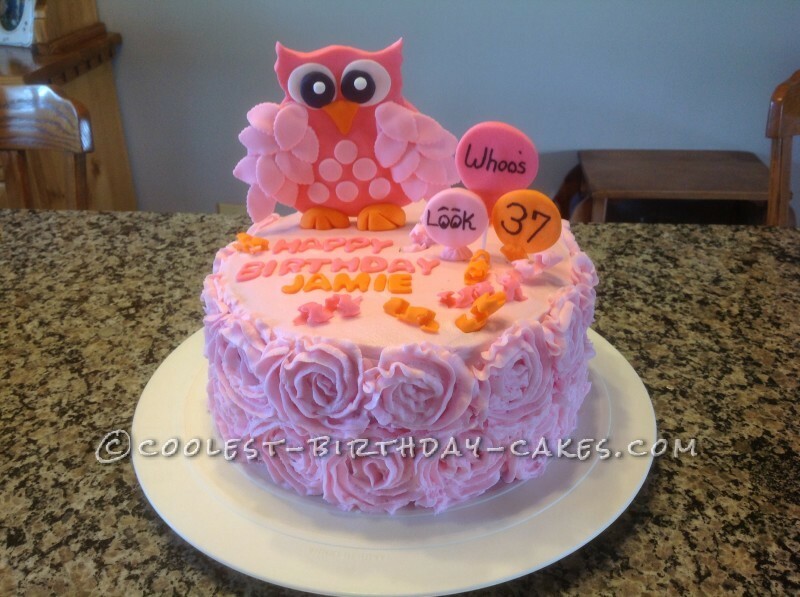 To make the owl, all I did was print a picture off the internet, rolled out my fondant, set the owl picture on top and cut out the shape ! EASY !!! I stuck cocktail sticks in the bottom of the owl and balloons and then let them dry for a few days on a cookie sheet, I like to make the decorations well in advance, so that the day I bake & frost the cake it’s stress free and actually fun ! For the sides of this cake , I put the frosting in a decorator bag and used a large star tip to make the swirls.